Despite all evidence to the contrary, Summer has yet to officially kick off. 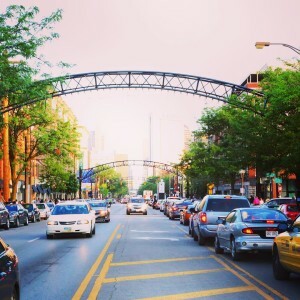 Come Thursday, it’s officially the season for any and every outdoor activity, including some of the city’s favorite annual festivals and events happening in the heart of the Short North Arts District. Mark your calendars and break out the sunscreen and jorts for a summer full of fun. 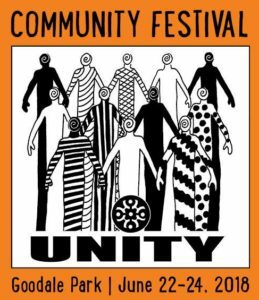 Happening Friday, June 22 through Sunday, Sunday, June 24, Comfest is a beloved weekend full of art, live music, and community. From 12:00pm – 11:00pm on Friday, 11:00am – 10:00pm on Saturday, and 11:00am – 8:00pm on Sunday, grab some food and shop from local artisans and retailers then check out some of your favorite local bands including Doc Robinson, George Barrie Band, Parker Louis, The Deeptones, Booty&thekidd, Clemens & Co, Dave Buker & the Historians, Embers of Arson, and so many more. Click here to see the full performance schedule. For more information about comfest, visit comfest.com. Everyone’s favorite day to celebrate liberty and lunacy is back! 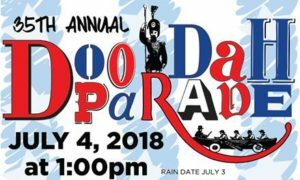 Converging in the heart of Victorian Village, the 35th Annual Doo Dah parade is happening on Wednesday, July 4 at 1:00pm. Join Less-Than-Grand Marshal Johnny Diloretto for this free event and enjoy some light-hearted political satire. Every Gallery Hop Saturday, thousands of visitors converge on High Street in the Short North Arts District. 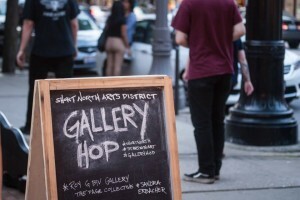 Visitors celebrate art throughout the evening with new gallery exhibitions, street performers, special events, food, and drinks throughout the District on the first Saturday of each month. With dozens of galleries and non-traditional exhibit spaces, it’s Columbus’ favorite night of the month to celebrate art. Stroll through on Saturday, July 7, Saturday, August 4, and Saturday, September 1. 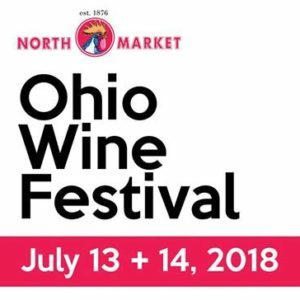 The Ohio Wine Festival returns on Friday, July 13 and Saturday, July 14 to feature wineries from Ohio, entertainment, their outdoor Farmers’ Market on Saturday, and North Market merchants will be open throughout the two-day festival! Ohio wineries include favorites such as Brandeberry Winery, Chateau Tebeau Winery, Debonne Vineyards, Doughty Glen Winery, Eldchrist Winery, Ferrante Winery, Hanover Winery, Inc., Henke Winery, Maize Valley Winery, Meranda-Nixon Winery, Plum Run Winery, Troutman Vineyards & Winery, and The Winery at Wolf Creek. Festival hours are 5:00pm – 9:00pm on Friday and 1:00pm – 9:00pm on Saturday. Visit northmarket.com/events for more details. 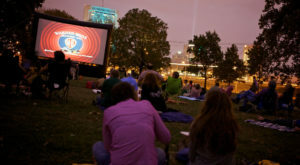 Screen on the Green is back for another year in Goodale Park! Presented on a great big inflatable screen with high-quality sound, movies are accompanied by pre-movie short films and a variety of food trucks plus homemade desserts from the Hubbard Mastery School’s PopUp BakeShop. Join them on Friday, July 13, Friday, August 10, and Saturday, September 16 for a fun outdoor movie experience. Movies have not yet been announced; visit the Short North Civic Association Facebook page for updates. The season continues on July 22 near the Goodale Park Gazebo from 12:00pm to 4:00pm. Don’t miss an additional Goods on Goodale popup on August 19. 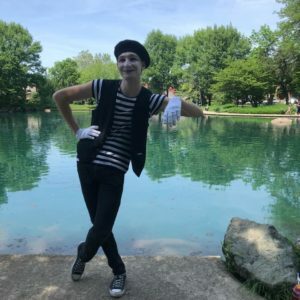 Bonus: on July 22 and August 19, Goods on Goodale will coincide with the Goodale Park Music Series as presented by the Short North Civic Association. 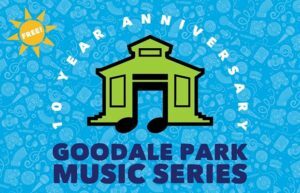 The Goodale Park Music Series is celebrating its 10-year anniversary in 2018! Join some of your favorite local bands at the gazebo on Sundays in July and August from 12:30pm – 2:00pm for music, food carts, and more. This year’s lineup includes Souther on Sunday, July 8; Honey and Blue on Sunday, July 15; Doc Robinson on Sunday, July 22; The Wayfarers on Sunday, July 29; Mistar Anderson on Sun, August 5; and Maza Blaska on Sunday, August 12. For the Harlem Renaissance’s 100th Anniversary, the Short North Arts District is creating a new temporary mural series in celebration! Galleries in the District will connect with local artists to highlight how the legacy of the original Harlem Renaissance participants shows through in today’s art. The mural series will be installed for the August 2018 Gallery Hop, and the artists will also be displaying their work at at businesses all along High Street select galleries. During the annual Short North End of Summer Sale, snag discounted Spring and Summer items for an entire week at businesses all along High Street. From Saturday, August 11 through Sunday, August 19, you can find incredible deals at your favorite stores to enjoy during the last month of Summer. Check back in August on ShortNorth.org for participating businesses and deals. Experience the culture and ancestry of Greece in Columbus at the annual Greek Festival. From Greek song and dance to cathedral tours to Greek food and drinks, the Annunciation Greek Orthodox Cathedral is the place to be during Labor Day weekend from Friday, August 31 through Monday, September. Visit columbusgreekfestival.com for more details. Planning a wedding? Stop by the Short North Arts District Wedding Wander, the new bi-annual, District-spanning event made to help you create your perfect wedding. On Sunday, September 9 from 11:00am to 4:00pm, businesses all up and down High Street – and off – will be showcasing what they can do for you on your special day. Samples, examples, venues, and menus are all here for your choosing, no matter where you are in the planning process. Put a ring on it in a style you’ll remember for the rest of your life with the Short North Arts District. 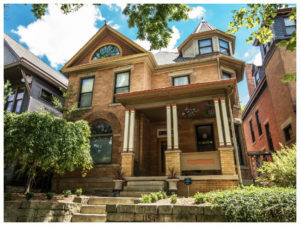 Take a tour of the historic and unique homes & gardens of Victorian Village and Italian Village in the fabulous Short North Arts District on Sunday, September 16 from 10:00am to 5:00pm! Visit shortnorthcivic.org closer to the event date for more details.